A very enjoyable weekend was had by numerous AMC members in North Wales. Most stayed in the Shrewsbury Mountaineering club hut in Deiniolen with an overflow in Bethesda, staying with the local AMC residents! There was a disappointing lack of snow and generally a thick fog, but the sun popped its head out on occasion. 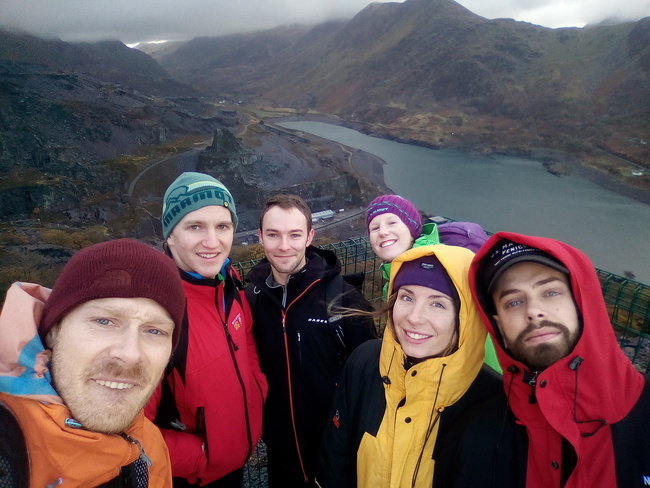 On Saturday the majority of the group went up Snowdon along various routes. Some braved climbing in the cold. 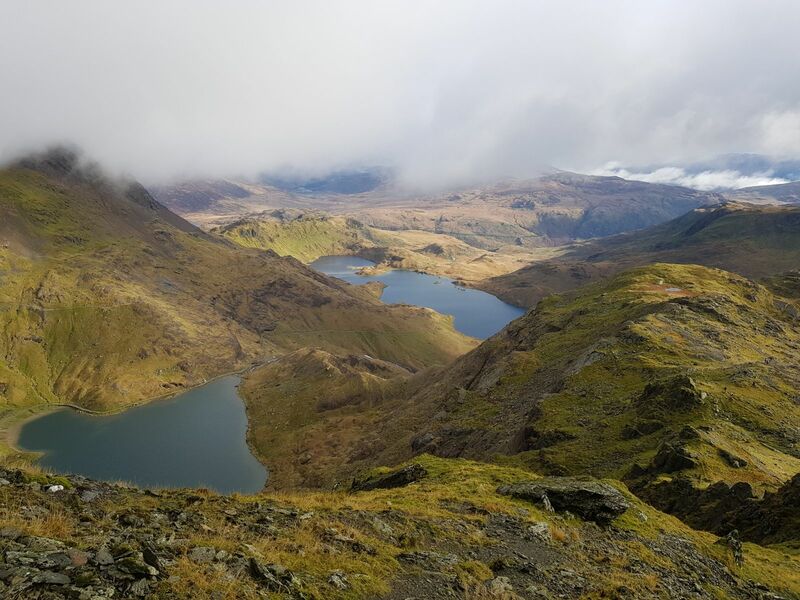 Kirstie and Steve walked from Pen y Pass back to the Hut via Glyder Fawr, Y Garn, Foel-goch, Mynydd Perfedd and Carnedd y Filiast. They had great views of fog all day but were back by 13:30 for tea and cake! The route down (SW) from Carnedd y Filiast was covered in knee-deep heather not much fun to walk down, but great for a bum slide!! 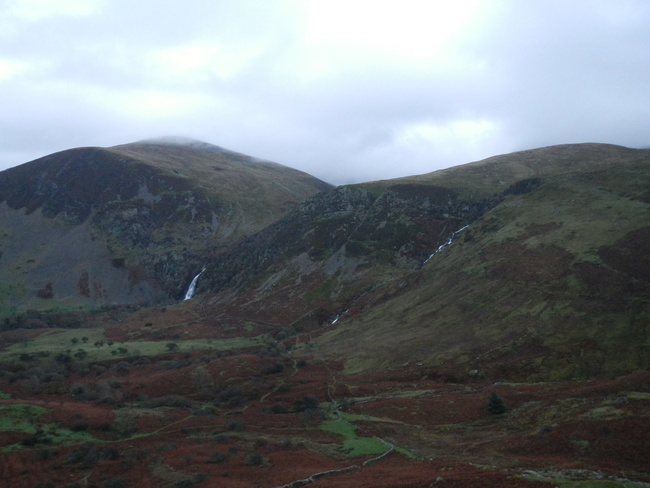 Chris, Roz and Vicky finally found a route not tackled before and headed up Moel Wnion and headed towards Aber falls with the plan to descend back into the valley. Following 2 rivers crossings, they were stopped by the fast flowing Afon Goch and didn’t fancy being spat out over the falls, so the only option was to scrabble back up steep slopes and deep heather retracing wet steps through the rivers and managing to get back just as darkness fell. 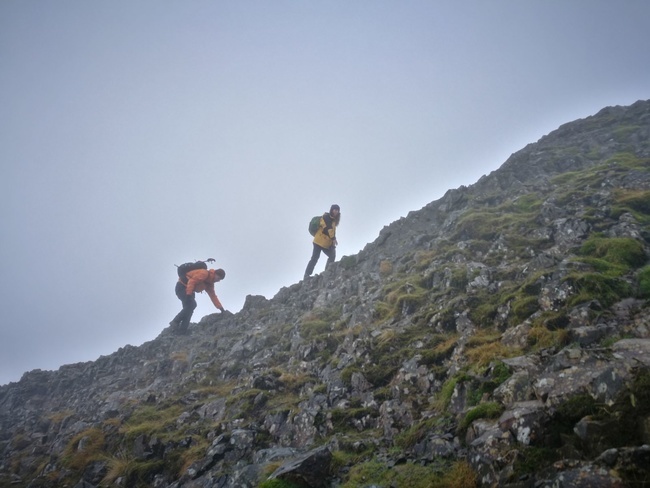 On Sunday there were high winds and rain at hut level, with some snow even higher. 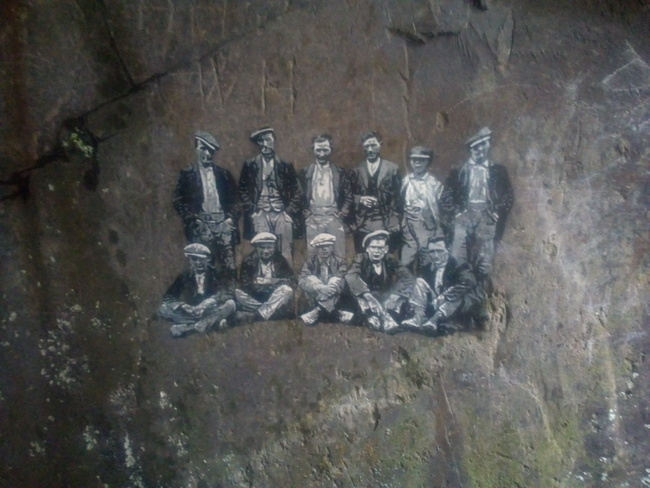 Most of the group went and explored Dinorwic slate quarry. 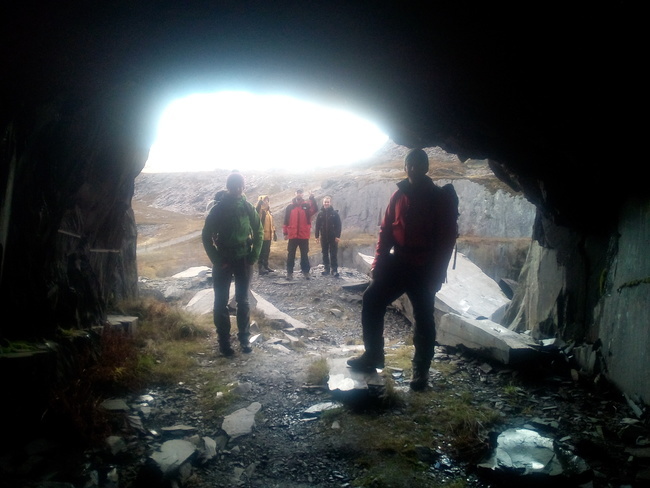 Walking, exploring the tunnels, finding the start of ‘Snakes and Ladders’ and hanging off the end of the chain.